We offer a choice of over 1 golfcourses spread out thru Norway. Book green fees and tee times in REAL TIME and get your confirmations immediately. 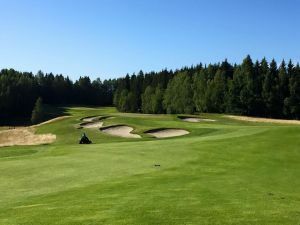 Miklagard Golf is situated about 20 min North of Oslo, close to Gardermoen International Airport. The Course was officially opened on the 8th of June 2002 with the intentions to be among the worlds best courses according to quality, design and service.